Life next to highway 99 is anything but glamorous. The desolate, vacant and scorched parking lot of “The Parachute Center” is a hard place to maintain. Huffing exhaust, sleeping in the dirt, and waisting away in the sun is the definition of suffering. Its quite a drastic step up compared to the third world though. Often times I will find myself inducing living situations in my life that are privation in nature. I can’t understand why some have to live so poorly while others have unlimited opportunity. Seems a bit unbalanced. “The key to life is happiness.” Even though we are living the homeless life of “trailer trash,” sucking from the bottom like catfish, we are still happy. The moments that we get to share together in the sky are fully worth the time spent groveling in the heat next to the highway. 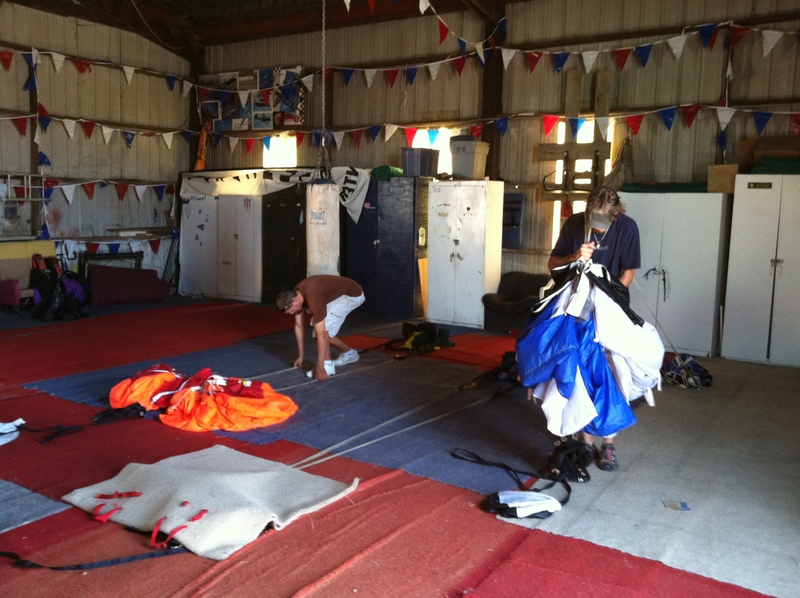 The Parachute Center is were the worlds most talented skydivers crawl from the primordial muck of society and blossom into world class pilots. Its a long road, but it has been worth it.